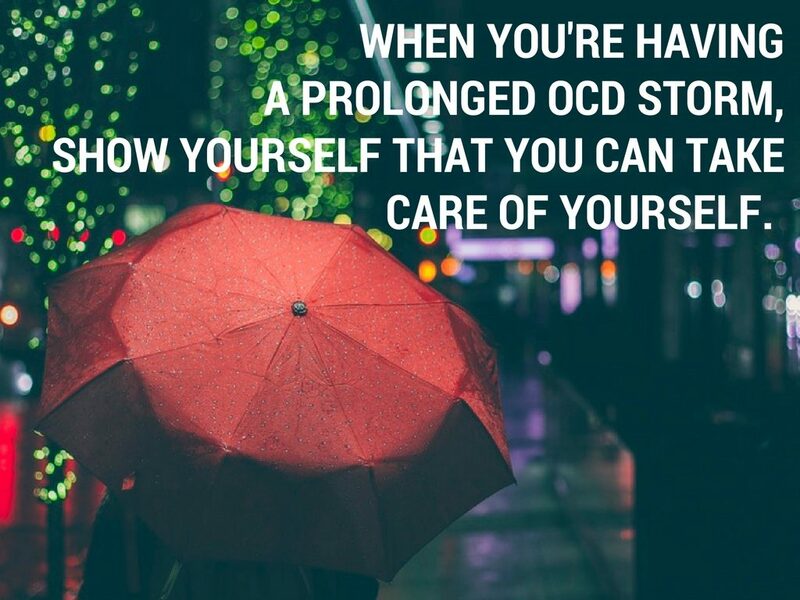 Frequently when I meet people with OCD and they tell me their story, I often hear the phrase, “so I went home again.” Taking shelter with one’s parents or other family members when one is first diagnosed with OCD, or during a prolonged OCD storm, is part of a lot of peoples’ stories, including mine. But you shouldn’t do it. In fact, I’d argue, you should avoid it at all costs. I’ve met a lot of college students who have taken a semester off, or left mid-semester, to move back in with their parents because of OCD. I know 20somethings who have left their jobs to move back home while they regroup and find treatment for their OCD. I also know a handful of people who have moved back home more than once (“so I went home again”). 1. Odds are good, “going home” won’t actually be restorative. Picture a severely anxious person carving out time specifically to relax. While it would be lovely if that made way for a restorative or therapeutic experience, odds are good, that blank space would simply make more room for anxiety. OCD tends to fester if we’re not keeping busy. And many of us have probably had the experience of OCD flaring up during blocks of unstructured time. 2. “Going home” gives OCD power. Part of why moving back in with your family isn’t a good idea—and part of why so many people go home “again”—is because pressing pause on our lives in an effort to heal from OCD paradoxically does the opposite: it gives OCD power. It’s retreating. When you have OCD, the best thing you can do for yourself is to say, “Okay, so I’m anxious. I’m going to keep living my life.” When you “go home,” you’re doing the exact opposite. When you find something to be scary or menacing, if you avoid it and run from it, it reinforces that whatever it is (whether that’s a snarling dog or a snarling thought in your head) is in fact dangerous, especially if you didn’t get close enough to explore it. 3. “Going home” may kill your confidence. There are lots of benefits to living with family. You get to see your family, you get a slowed-down pace of life, and odds are good there will be more—or better—food than you tend to keep in your house. But odds are good, you will at some point resent that you live with your family. You may even feel like a loser. For that reason, keep your apartment. 4. “Going home” may put serious strain on your relationships with your family. OCD is really hard for families. Family members’ reactions to a loved one’s obsessions can range from surprise, to irritation, to a full-on “Mama Bear”-esque desire to do anything to help. Alas, it doesn’t help things—on real-life level or a brain wiring level—when family members assure someone with OCD that there isn’t a problem or when family members participate in or help with rituals. Most importantly, living with family will inevitably put a strain on one’s relationships. That’s too high of a price to pay. 5. “Going home” means you have so much more stuff to figure out. Best case scenario, when you go home again, you find help and get better. But now you’re faced with the task of rebuilding your life. If you can return to your job and your apartment and your friends, that’s terrific. But it’s unlikely that everything will be so effortless. During a prolonged OCD storm (an OCD hurricane, perhaps), the urge to flee and take shelter makes sense. It’s normal, even, to crave someone else taking care of you. Instead, this is the time to prove to yourself that you can take care of yourself. You have a good life and you are willing to fight for it. You are going to need to adopt a new way of living. You have OCD, and you need to master living your life, even when you have OCD. There’s no time like the present. You want to ground yourself in your life. The best way to heal from OCD is to keep calm and carry on. When you’ve been diagnosed with OCD and you’re scared, or you’re having a prolonged OCD storm, this is the time to put down roots.